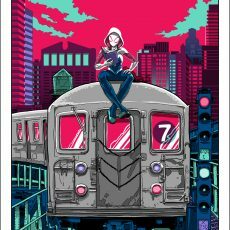 New York Comic Con- SPIDER GWEN by Doyle, and more exclusives! 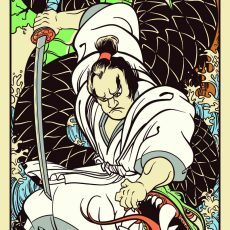 “Samurai with a Magic Sword” by Budich- new colorway! 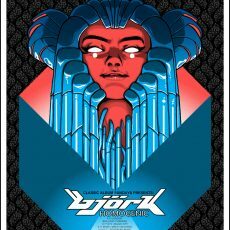 BJORK- Homogenic 20th Anniversary poster by Doyle! 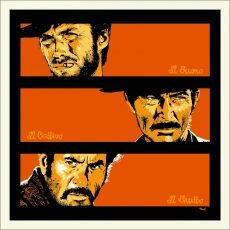 “The Good, The Bad, And The Ugly” by BILLY PERKINS! 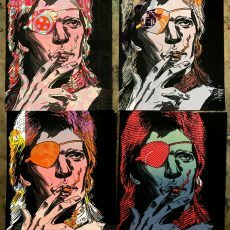 3 new Sci-Fi prints by Doyle! 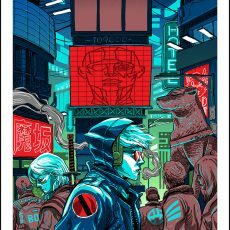 Artist Tim Doyle is releasing 3 prints, new to the Nakatomi nation! Each print measures 18×24, and is in hand and ready for immediate shipment! “CatWatcher” is a 7-color hand-printed silkscreen print, signed and numbered by the artist in a limited first edition of 150. Note from Doyle- “This print is inspired by comic artist and writer, Brandon Graham’s ‘StarWatcher Project’ in which different artists did their own homage to artist Moebius’ classic ‘StarWatcher’ illustration….